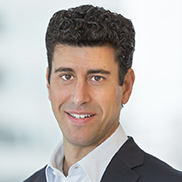 Eric Wasserman - J. Goldman & Co., L.P.
Eric has been a Portfolio Manager of the Firm since 1999 and a Partner since 2006. Prior to joining the Firm, Eric was an Analyst at J. P. Morgan & Co. from 1996-1999. Eric received a B.A. in Finance from Lehigh University.